Perhaps your timing is just off. When jobs arrive there they get taken up very quickly by Neopets eager for work, so you might need to refresh a bit to catch a listing. Nope. No rare items will stock in the General Store. *sniff* Is this stuff expired? Hmm... we don't really have a rule for this. 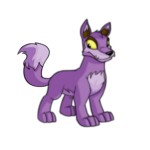 Glitches have a habit of being fixed, so it's kind of silly to trade for a glitched Neopet. That being said, you guys always surprise us with what gets you excited, lol. As long as you aren't doing something to purposely glitch your Neopet, and the person understands that it won't be permanent, we guess you can go ahead until some problem presents itself and we then need to put a stop to it. Sorry, the Petpet Spotlight is supposed to show off YOUR creativity, not that of your friend. Please only submit drawings you have done yourself. Thankfully, no one has claimed the word "whack" for their very own yet, so we think we can still use it! Mmm... brownies. We think that, in this case, your intentions were quite clear. If you were advertising for one random friend then it'd be against the rules, but simply condensing several boards into one seems like a fine idea to us. Remember, the Beauty Contest and Caption Contest aren't the same. Nope, go ahead and send in your other article! Don't worry, you weren't the only one that accidentally did this. We know these things tend to happen, and we can be lenient when we're sure abuse wasn't your intent. Just delete the items and donate the NP to the Money Tree. Not a glitch? Would we program a quiz where the only result possible is a pink Slorg? Pa-shaw! No one's that silly! The General Store is a different type of shop. It's intended to be a place where players can constantly access certain items, such a books, food, toys, and other simple items for their Neopets. It doesn't restock or change items when you refresh. It's similar to the Neohomes Superstore, but has less stock and therefore doesn't shift what's currently viewed when you refresh. (unless that person was attempting to cheat when they got scammed). (unless the account has been inactive for too long). -Frozen due to a misunderstanding. Please keep in mind, though, that just because your account was frozen for one of the above reasons does not mean we can or will return it. Information needs to be provided with regard to the account to verify it's yours, and it's up to support personnel to decide if your account will be returned or not. "She's exiled from Faerieland, but we don't know what for, and she collects things for a secret purpose..."
Deep within the Meridellian forest, high in the trees, rests a peaceful glade. Put on your prankster hat and get to work! Olivia plopped down onto the stump as well, gazing at the wildflower buds growing in patches throughout the Glade. "They're pretty... but I can't pick them yet."